Iowa scored the first seven points and the final seven points, but that was all they could muster as Minnesota scored the 51 points in between Iowa’s two scores to win 51-14. Mitch Leidner had 4 passing touchdowns, with three to Maxx Williams, to lead the Gophers. Iowa opened with a very strong drive. They pounded the ball three straight times at the goal line with Mark Weisman getting the final two carries. Weisman got in on his second attempt to make it 7-0. However, it was all downhill after that. The Gophers responded with an excellent drive of their own as KJ Maye ran in from 9 yards out on the jet sweep, a play Minnesota as they pleased against Iowa. Minnesota would intercept Jake Rudock’s pass on the next play, but failed to get any points off of it. After a three and out by Minnesota, Iowa saw their drive stall at their 30 yard line. Their ensuing punt was partially blocked by Eric Murray and went for only 14 yards. Leidner opened up his passing touchdown account with a 44 yard bomb to Donovahn Jones on the next play to make it 14-7 Minnesota. Another punt for Iowa resulted in another Leidner touchdown pass, this one to Maxx Williams from 9 yards out. It got worse as Rudock fumbled on the first play of Iowa’s next drive. That resulted in David Cobb’s 6 yard touchdown run and the lead was at 28-7. After a punt, Williams caught his second of the day before the Gophers were given another gift on Akrum Wadley’s fumble. However, Ryan Santoso’s 45 yard field goal was no good, but the damage was already done. Minnesota led 35-7 at the break. The opening second half drive for Minnesota resulted in a similar result: Leidner to Williams. Minnesota added a Rodrick Williams touchdown and a 35 yard field goal from Santoso to make it 51-7. Iowa scored a touchdown with 14 seconds left when C.J. Beathard hit Andrew Stone for a 24 yard score. 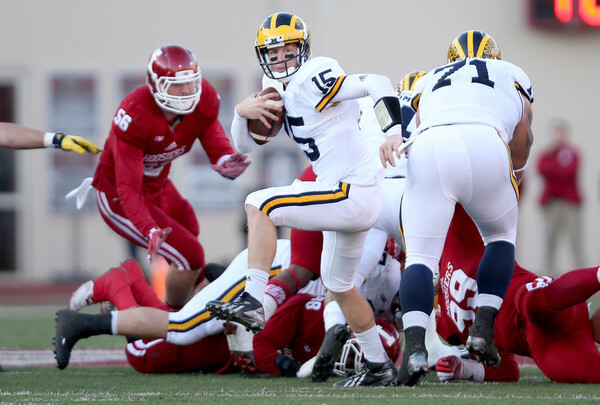 Jake Rudock went 10 of 19 for 89 yards with an interception. C.J. Beathard went 3 of 7 for 32 yards and a touchdown in mop up duty. Akrum Wadley ran 9 times for 68 yards while Mark Weisman was held in check with only 21 yards and a touchdown on 14 carries. Damon Bullock was the top receiver with 4 catches for 41 yards out of the backfield. Tevaun Smith caught 3 passes for 38 yards. Mitch Leidner went 10 of 13 for 138 yards with 4 touchdowns. He was also the top rusher with 77 yards on 11 carries. David Cobb ran 16 times for 74 yards and a score while there was greater emphasis on KJ Maye getting the ball. He ran 10 times for 66 yards and a score. Unsurprisingly, Maxx Williams was the top receiver with 5 catches for 46 yards and 3 touchdowns. Donovahn Jones had 1 catch for 44 yards with one touchdown. Iowa (6-3, 3-2) is not quite out of Big Ten West race with the loss. They have a potentially tricky road game next week at Illinois (4-5, 1-4). Iowa also has home games against Wisconsin and Nebraska to close out the season. Minnesota (7-2, 4-1) moves into a three place tie for first in the Big Ten West with Nebraska (8-1, 4-1) and Wisconsin (7-2, 4-1). The Gophers face Ohio State next week at home before road games at Nebraska and Wisconsin left after the Buckeyes. 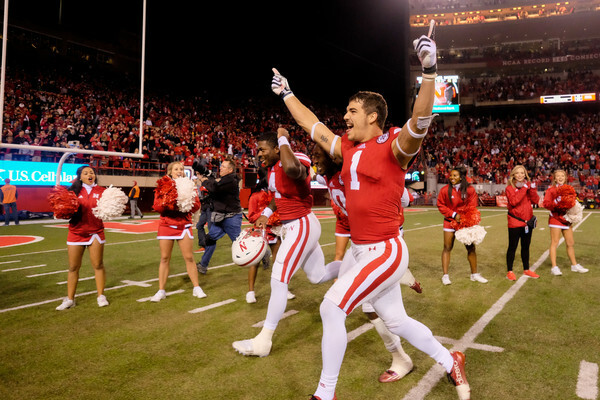 There is still plenty left to be determined in the Big Ten West. Cedric Thompson‘s second interception of the day was enough to Minnesota‘s the 39-38 win over Purdue in a wild game that saw both offenses explode. Ryan Santoso‘s 52 yard field goal with 5 minutes left was the difference between the two teams. Thompson’s first interception came on the first play from scrimmage when he intercepted Austin Appleby‘s pass and took it back to the two yard line. On the following play, David Cobb ran it in to make it 7-0 after 20 seconds. Appleby nearly threw a second interception in as many drives when Damien Wilson intercepted him. However, Theiren Cockran was called offsides and Appleby responded by hitting Danny Anthrop for a 55 yard touchdown on the next play to tie the game at 7. Minnesota’s offense came back with their second touchdown when Mitch Leidner hit Maxx Williams for a 7 yard score and retake the lead at 14-7. Purdue answered right back with Austin Appleby connecting with Gabe Holmes for a 13 yard touchdown. Minnesota started the second quarter with a third touchdown when Donnell Kirkwood pounded the ball in from 3 yards out to make it 20-14. Santoso missed the extra point as it hit the upright and bounced back on to the field. 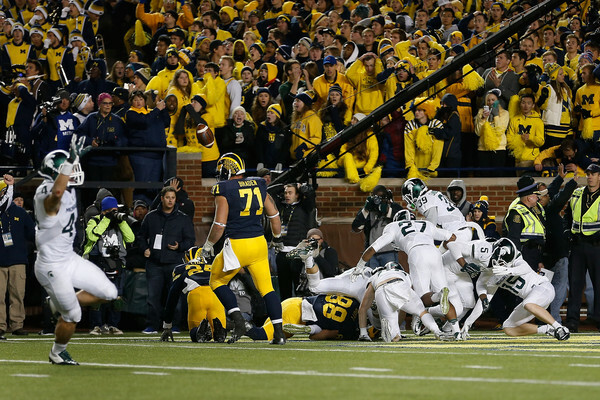 That missed extra point loomed large and affected some decisions later in the game. Purdue’s next drive ended when Raheem Mostert outran the defense for a 42 yard touchdown and a 21-20 lead for the Boilermakers. Purdue would get the ball right back when Cobb fumbled on the next drive. Paul Griggs nailed a 26 yard field goal to extend the lead to 24-20. After forcing a punt, Purdue managed to extend their lead even further with Appleby finding DeAngelo Yancey for the touchdown. That made it 31-20, which was the lead at halftime. Minnesota had a strong beginning to the third quarter. they went 75 yards in 6 plays to close the deficit. Leidner ran in from 6 yards out but the Gophers went for two. They tried to have the holder pitch the ball up Santoso in the extra point formation, but it was stuffed before the goal line. Purdue still led 31-26 after the failed trick play. Santoso added a 20 yard field goal on the Gophers’ next drive to closet he gap to 31-29. On the next drive for Purdue, Mostert ran for a 69 yard gain to the one yard line and Appleby did the rest on the next play as he plunged in from a yard out. That made it 38-29, but Minnesota had one last score in them during the third quarter. Leidner found KJ Maye for a 37 yard touchdown pass and it would be 38-36 Purdue after the first 45 minutes. Midway through the fourth quarter, Darrell Hazell decided to roll the dice on fourth and one at the Minnesota 30 yard line. Appleby kept the ball on a keeper but was tackled by Damarius Travis and fumbled the ball. Appleby recovered, but he was short of the first down line and Minnesota took over. Minnesota’s drive stalled at the Purdue 35 yard line and head coach Jerry Kill decided to give his field goal unit a try at taking the lead. It worked as Ryan Santoso crushed the 52 yard field goal and the Gophers led 39-38 with 5 minutes to go. Purdue’s next drive saw them convert a fourth and two at their own 38 yard line. However, two plays later, Thompson picked his second throw of the game when he made an athletic play to step in front of the receiver. The Gophers were able to get a first down and run the clock out after that. Appleby had a solid game despite the two picks. He went 16 of 26 for 153 yards with 3 touchdowns. He also ran for 79 yards and a score on 10 carries. Raheem Mostert led Purdue in rushing with 115 yards and a touchdown on 5 carries. Akeem Hunt ran 17 times for 98 yards. Danny Anthrop had 4 catches for 67 yards and a touchdown to lead the Boilermakers. Hunt was second on the team with 5 catches for only 24 yards. Mitch Leidner is starting to come alive through the air. He went 9 of 18 for 165 yards with 2 touchdowns and no interceptions. He also ran for 84 yards and a touchdown on 13 carries. David Cobb was a workhorse with 35 carries for 194 yards and a touchdown. Isaac Fruechte was the top receiver for Minnesota with 1 catch for 45 yards. Donovahn Jones caught 1 pass for 42 yards while KJ Maye had 1 reception for 37 yards and a score. Tight end Maxx Williams had 3 catches for 22 yards and a touchdown. Minnesota is now 3-0 in Big Ten play for the first time since 1990. In addition, Saturday’s win over Purdue marks the first time the Gophers have won a game when they were trailing at halftime under head coach Jerry Kill. They were 0-22 entering the game. The Gophers are also 22-0 when they lead at halftime under Kill. Purdue (3-5, 1-3) may be on the verge of another losing season, but they are clearly improved on offense. 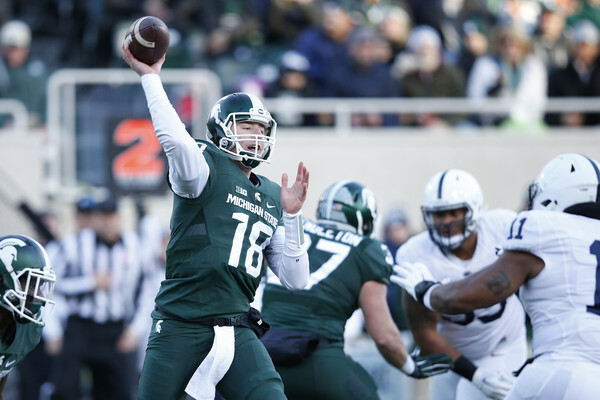 The 31 points they put up against Michigan State last week were not a fluke. They have a bye week before they face Nebraska on the road on November 1. 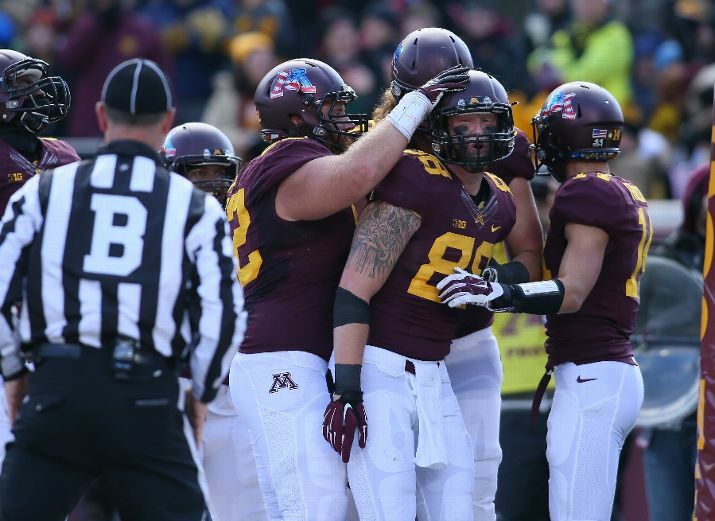 Minnesota (6-1, 3-0) has reached bowl eligibility and are in prime position to win the Big Ten West division. 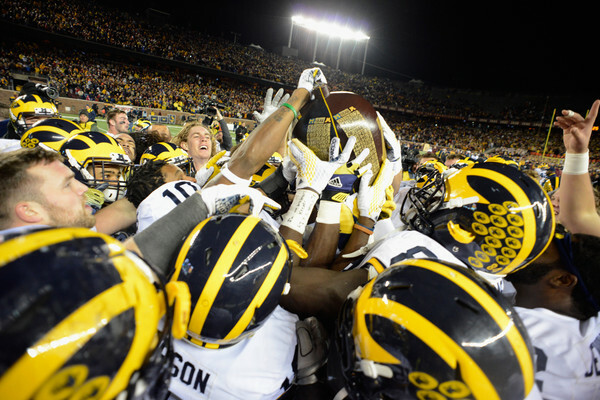 Their quest continues next Saturday when they travel to Champaign to face Illinois (3-4, 0-3).